Who remembers DALE MARTIN's offices in Brixton Road circa 1955 ???? 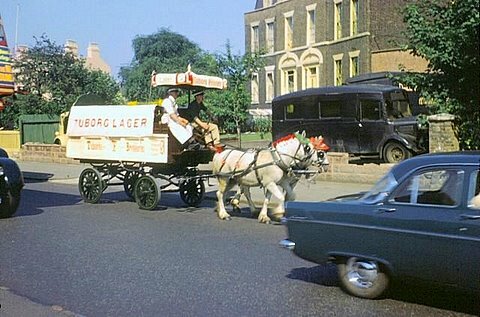 The old furniture wagon is just visible in the background. Of course, the boys rode on the horse and cart but Jack got the Zephyr ! !